Really Good Reads: Is Christianity Good for the World? This slim volume pulls off the rare feat of appealing to both atheists and Christians. 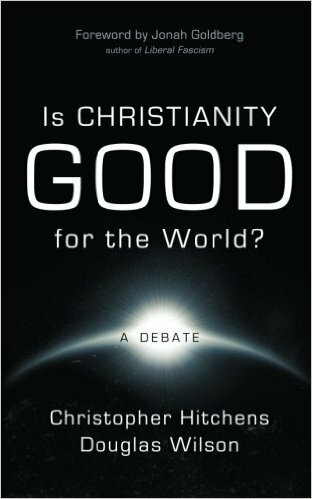 In 2007 the magazine Christianity Today asked one of the best known atheists of our day, Christopher Hitchens, and a comparatively unknown pastor named Douglas Wilson to discuss the question, “Is Christianity Good for the World?” The two went back and forth through six rounds, and the exchange was collected in this short, 67-page book. Most atheist reviewers are certain their man won the debate but, curiously, most Christian reviewers are just as confident that Wilson won the day… and in convincing fashion. The crux of the debate comes down to morals. Hitchens argues that Christianity is evil because many of God’s commands, like the one to wipe out the Amalekites (Deut 25:19), are immoral orders. Wilson counters that Christianity is good because it is true, and then asks Hitchens how he has the gall to call anything evil. Wilson argues that Hitchens, in his attack on Christianity, has to borrow from it concepts like moral and immoral, right and wrong, because those concepts have no grounding in the atheistic worldview. This is a feisty, educational exchange that will keep any reader engaged but because equal time is devoted to Hitchens’ attacks against God this is not a book for the undiscerning. Its size makes it a great gift, even to those are already overwhelmed with good reading material. I gave it to my dad, who I had stopped buying books for because he has already has a stack of books he hasn't yet gotten to. Why add another title to the bottom of the stack? But I knew Is Christianity Good's head-to-head debate format, and its small size would pique his interest. I was right - upon unwrapping, it was immediately moved to the top of his reading list, and he was done it in a night or two. CONTENT: Renowned atheist Christopher Hitchens and Reformed pastor Douglas Wilson debate, through six back and forth rounds, whether Christianity is good for the world. CAUTION: As half this book is by a self-described anti-theist, half the book contains material that Christians will find objectionable. So this is not a book for the undiscerning. CONCLUSION: Christopher Hitchens’ anti-God rants are ably answered and countered by Wilson. 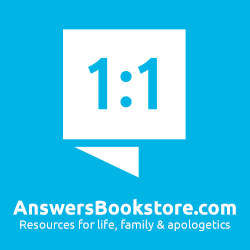 This is a great introduction to the atheist/Christian debate - both edifying and entertaining. And Wilson gives a good demonstration (though not an explanation) of presuppositional apologetics. It is a book most will enjoy. 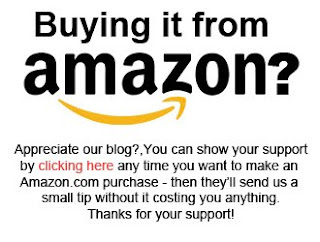 Just found this blog ... what a good idea ... keep up the good work.